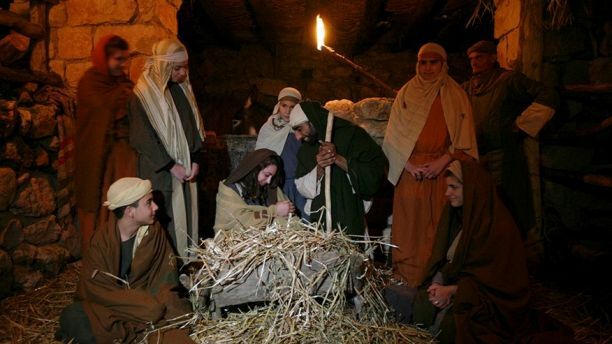 Christmas has officially been canceled in Christ’s childhood home of Nazareth… for the most part. The Muslim mayor there nixed it. He’s saying no to traditional outdoor songs and plays celebrating Christmas. What an Islamic Grinch. Mayor Ali Salam, who once made the very odd boast that President Donald Trump “learned everything from me” about how to win elections, made it crystal clear he was punishing local and visiting Christians as revenge for the President’s decision to officially recognize Jerusalem as the capital of Israel. That won’t stop any of us from celebrating the birth of Christ, you moron. “Our message is we love Jerusalem, we’ll never abandon you under any circumstances,” Salam declared. “Our identity and faith aren’t up for debate … The decision [by Donald Trump about Jerusalem] has taken away the joy of the holiday, and we will thus cancel the festivities this year.” How freaking petty can you get for just recognizing that Jerusalem is the rightful capital of Israel. It always has been and always will be. The Muslims do not have any claim to Jerusalem… it is part of Israel. The stupid thing here is that Nazareth is part of Israel, not the Palestinian Authority territory in Gaza and the West Bank. The majority of citizens however are Muslim, just as their mayor is. They are Arabs with Israeli citizenship. This is their way of rebelling against Israel for claiming what is rightfully theirs. Christians are just over 30 percent of the population in Nazareth. They are a significant minority in the city. But the majority is Muslim and elected Salam. Due to pushback, Salam is walking it back somewhat, conceding that “there are commercial interests of the city and we are used to hundreds of thousands [of Christians] coming for this season.” So, because of business and money, he may let Christmas be celebrated somewhat. How big of him. He’s going to permit the Christmas market and a parade on December 23rd. But he’s putting a stop to singing and outdoor plays. The Nazarenes need to work at getting Christians and Jews in the majority so they can stop this religious bigotry. Per the Bible, the city of Nazareth is where the archangel Gabriel told the Virgin Mary she would bear the Savior, making it one of Christianity’s holiest sites. After Mary gave birth to Jesus in Bethlehem, which is now located in the Palestinian-controlled West Bank, she and the Holy Family fled to Egypt to escape from Herod the Great, who ordered all of the infant boys in Bethlehem killed after learning a new king had been born. Mary returned to Nazareth after Herod was dead. Jesus “grew, and waxed strong in spirit, filled with wisdom: and the grace of God was upon him.” You can prohibit celebrations all you want, but you will never extinguish our faith in Jesus, the Son of God.